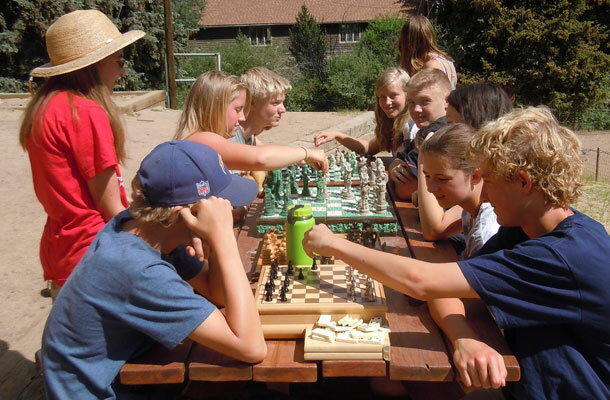 The multi-faceted program at camp includes activities geared to the physical, mental and spiritual self: hiking, exploring, horseback riding, swimming, archery, climbing and challenge courses, music, drama, arts and crafts, pageantry and ceremony. 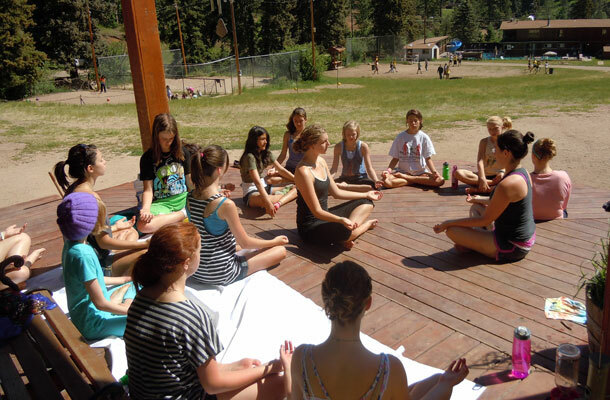 "Geneva Glen excels in creative programming"
Alchemy: Our own brand of creative environmental program that teaches campers to value the natural world around them. 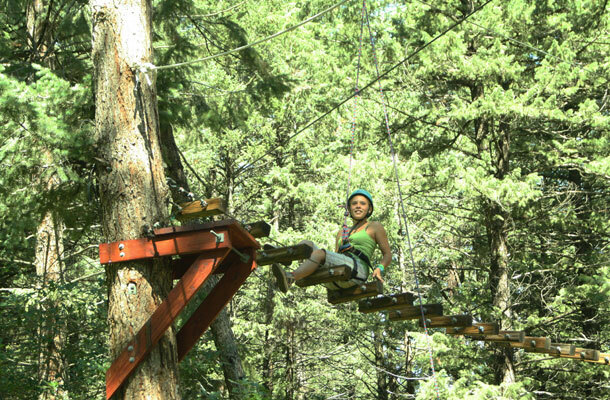 Archery: Become Robin Hood or Katniss in our three beautifully wooded archery lanes. 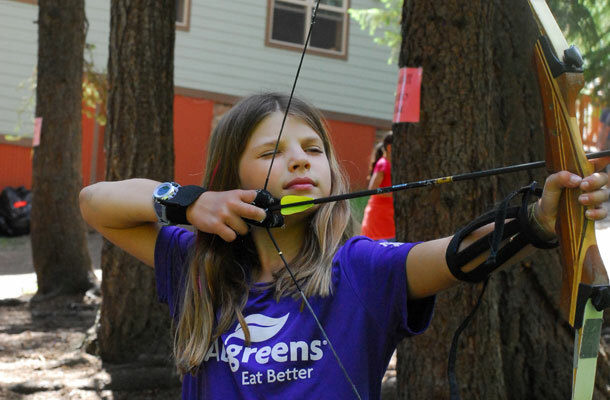 Backwoods BBs (for Juniors and Middlers): Decorate your target and then hit the bullseye to win awards. Barn: Western arena and trail riding for all ability levels. 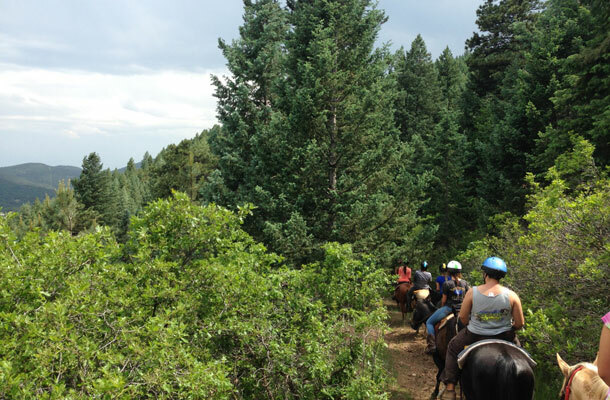 Equine care and riding instruction for more experienced riders. 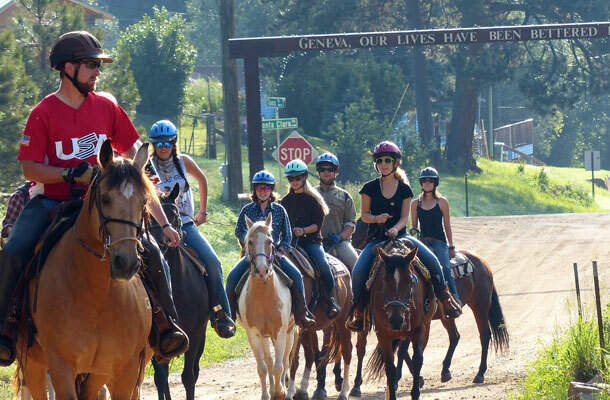 Click here to learn more about the horses and riding at GG. Crafts: Express your creativity while learning new craft projects and constructing art. 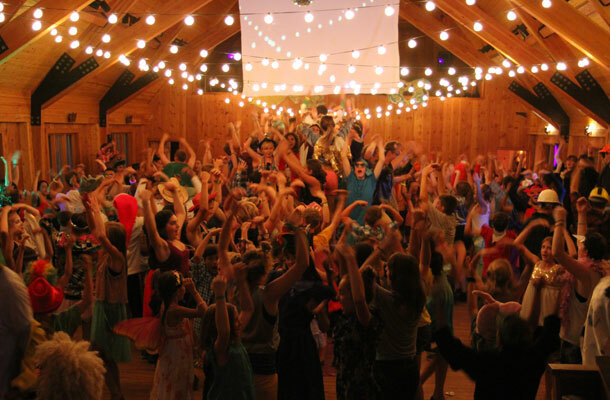 Drama & Dance: Demonstrate your thespian and dancetalents in a GG production. 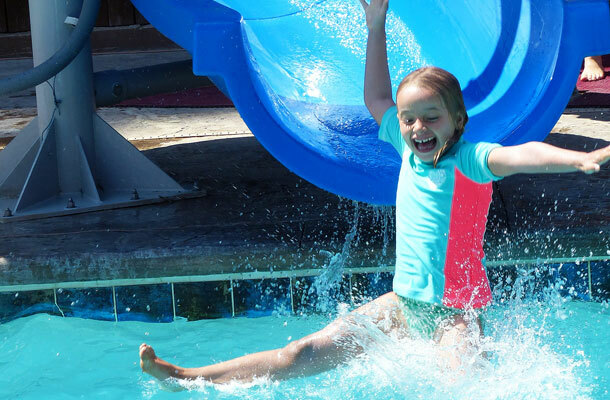 Pool: Play or sunbathe in camp’s coolest spot. 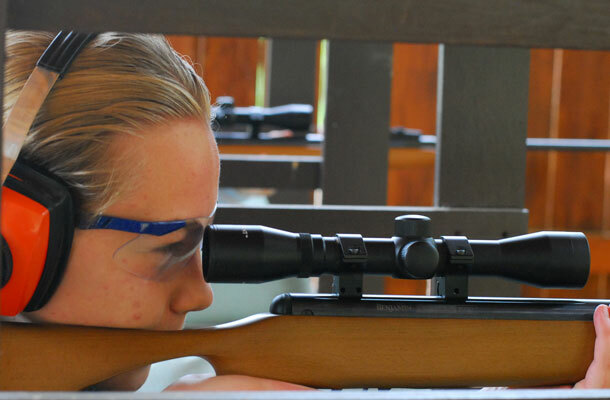 Rifles (for Seniors): Good shots can earn marksman certificates. 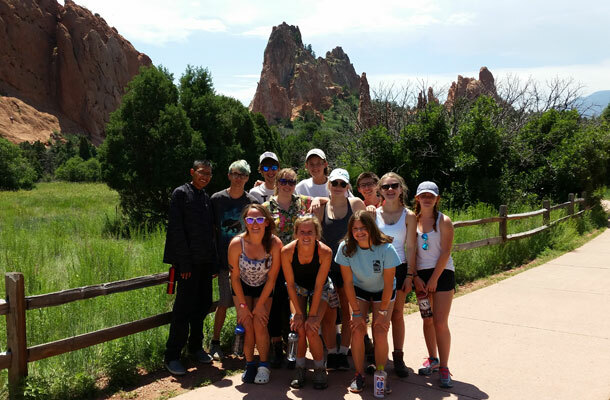 Seniors can specialize in riflery and climb the award charts! 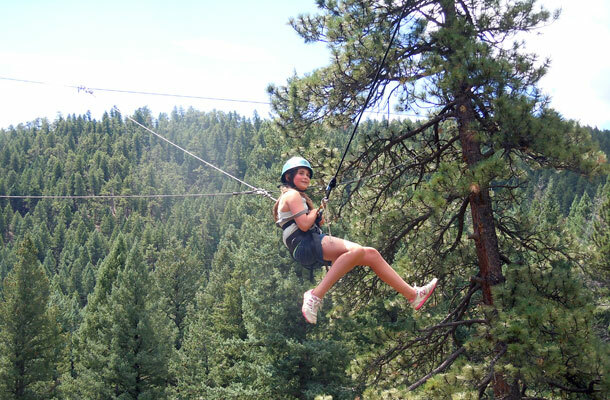 Ropes Course: Tackle the ropes course and ride the zip line. 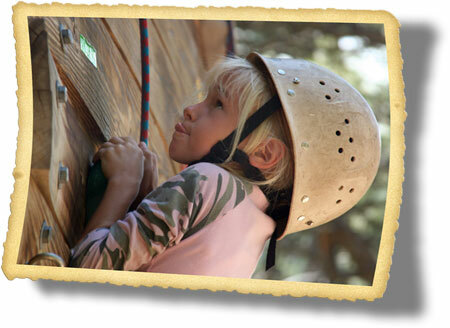 There is a 40-foot climb wall for technical training as well as recreational fun. 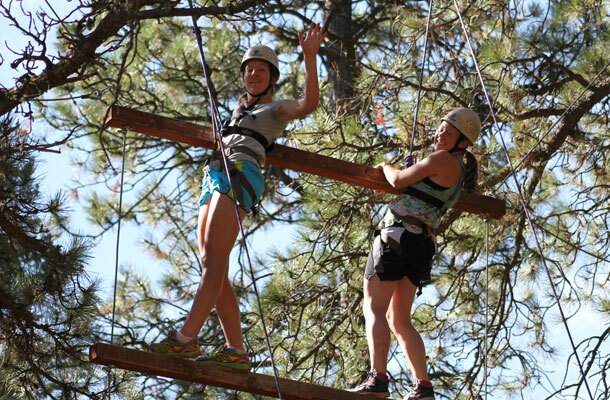 The ropes course boasts 20 lower, upper and group elements... and the giant swing is one crazy ride! 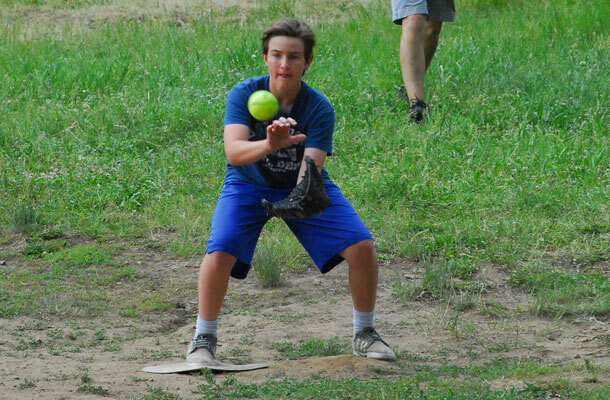 Sports: Demonstrate your sportsmanship and team spirit in softball, ultimate frisbee, dodgeball, volleyball, tetherball, basketball, kickball, soccer, lacrosse and other fun games. 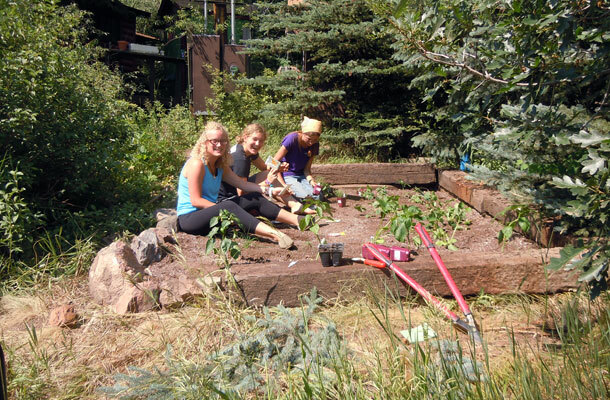 Store: Hang out in “Lily’s Pad”, play pool or ping-pong, eat snacks. W.I.L.D. 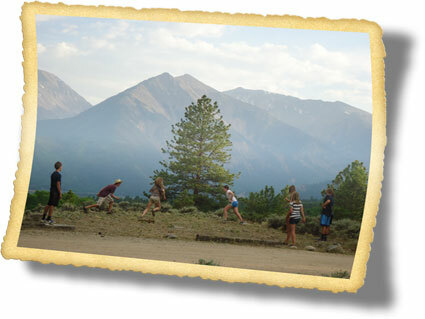 (Wildness Exploration): Take a nature walk, explore camp and learn other outdoor skills. 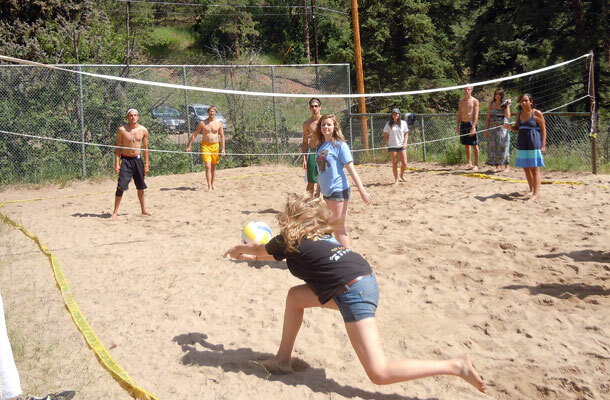 These areas are available mostly to senior campers, who are 12 years old or older. Seniors get to “create” their own schedule. 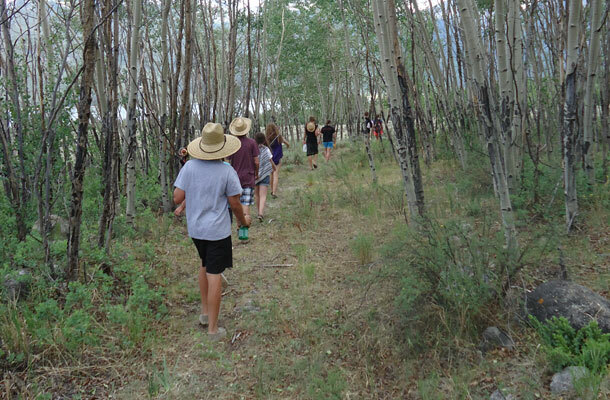 In addition to the activities listed above, seniors can explore mountain peaks, rock climb and rappel, take horse overnights, learn “Roughin’ it Easy” campcraft skills, minimum impact camping, animal tracking, pottery clinics, song writing, poetry workshops, swing dancing and many more! 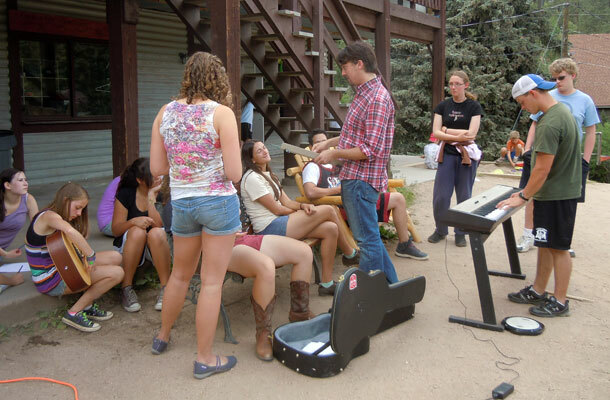 The program for seniors is dynamic and changes from year to year, depending on the talents and abilities our staff members bring to the camp each season. Special Crafts or "Cre-8": knitting, crochet, jewlery making. 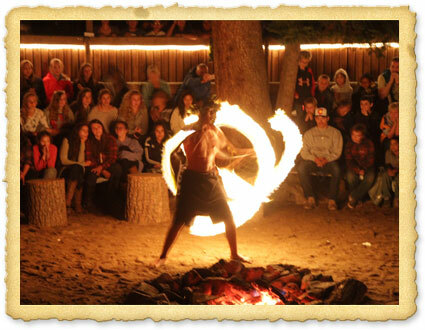 Special theme related events, such as Pow Wow (American Heritage); Pulling of the Sword, Coronation, Ladies Court & Induction (Knighthood); and an International Chautauqua -- a gathering of the nations(World Friendship).